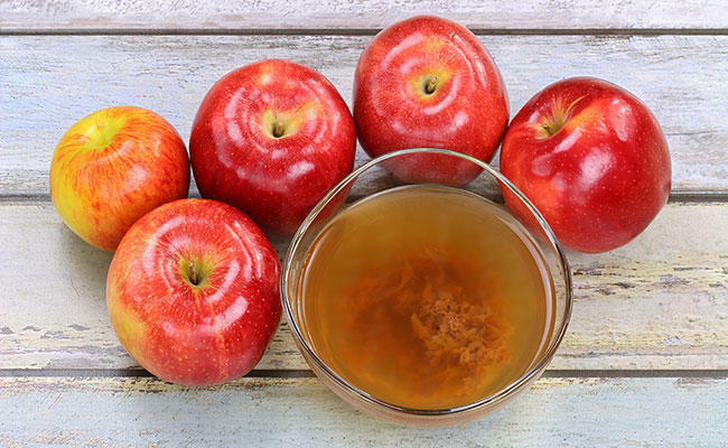 It makes good sense that drinking apple cider vinegar before meals would help with weight loss. Apples are a good source of pectin, and including pectin in your diet can make you feel fuller and more satisfied. Since apple cider vinegar contains the same amount of pectin as apples (one apple has about 1.5 grams pectin), it can suppress your appetite in a similar way. There is also good science behind why apple cider vinegar would encourage weight loss even more effectively than eating raw apples. In general, acids help with the digestion of protein. the building blocks for some of our hormones. By increasing the acid present in your stomach before a meal, you’ll ensure the chances for thorough digestion and increase the availability of protein for hormone synthesis. Greater protein utilization helps the formation of growth hormone, the substance that keeps the body’s metabolism going while we’re at rest. This is why it is important to drink apple cider vinegar before or with your evening meal. Because apple cider vinegar stimulates digestion, it also reduces the amount of time that fats remains in the digestive tract. Apple cider vinegar can improve the body’s utilization of iron. Iron is a key component in substances that carry oxygen to the cells and hold it there. Acids (like the acetic acid found in apple cider vinegar) help release iron in the food you eat. The oxygen that is carried is as essential for burning energy in the body as it is for a fire to burn in a fireplace. All good things still have some disadvanatages so here are a few tips and precautions to be aware of. If taken undiluted, apple cider vinegar can cause upset stomach, indigestion, nausea, and heartburn. Avoid using distilled, filtered or pasteurized apple cider vinegar. For effective results use raw, organic, unfiltered, unpasteurized apple cider vinegar, and make sure it contains the Mother. Undiluted apple cider vinegar can hurt the esophagus. So it is better to dilute it with water before drinking. The acidic nature of apple cider vinegar can damage the tooth enamel. Use a straw for consuming apple cider vinegar drink to avoid the damage.